Beautiful wigs for every style and budget. If you are experiencing hair loss or hair thinning, you are not alone. Women can lose hair for any number of reasons, including genetic thinning, delicate hair, cancer, alopecia, trichotillomania, and other medical conditions. At John Rutter Hair Solutions, we understand how important wigs are for women experiencing any level of hair loss. A properly styled wig can have an immense impact on a woman with thin hair or hair loss. Our skilled team is here to help with hair loss treatments and solutions that go beyond cut and color. There is a lot to consider when it comes to a new wig, like the color, fit, and style. That’s why we offer a free private consultation so you can go over the intricacies of a new wig someone from our team. For the most authentic appearance, any new wig needs to be customized to fit your head. This also means that not every wig is perfect out of the box. Our trained hair stylists will help you cut, trim, resize, and thin your wig to give you hair that fits your style and personality. Trust John Rutter Hair Solutions with your custom wig needs and have peace of mind when it comes to your new hair. Discrete team members and privacy. A chance to discuss style, color, and fit with your stylist. Learn about wig management and other available hair loss treatments. Find the right wig that fits your budget. There are a variety of types of hair ranging from synthetic hair to high end virgin human hair…. and cost varies with materials and craftsmanship. When you visit John Rutter Hair Solutions, you will be able to touch, feel and try on a variety of products as we customize the perfect match for your style and your budget. A wig is not just a wig when it comes to the woman with hair loss. It’s not being worn for reasons of fun and fashion, like many of the varieties seen in wig shops. It’s not a whim, and certainly not something that you plan to wear for only a few hours while out on the town. For medical hair loss, a wig serves to replace your hair–as authentically as possible–and restore your self-confidence. You should feel comfortable in it, and about it. Not only should you feel good about wearing your wig, you should look your best, as well. That’s why there are many considerations you should take into account when choosing a suitable wig. We are here from the beginning to the end to help you find the perfect solution. There are different types of hair that effect the density and texture. 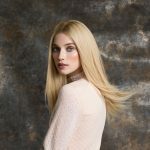 Overall, European Hair due to its relative rarity and ability to have natural-looking color in a variety of shades is considered the finest hair available. It is collected mostly from donors in Eastern Europe. Although fine in texture, it can be strong. European hair is available in medium blonde to dark brown. Light blonde hair is more rare and usually more expensive. The texture and appearance of European hair does however, depend on its origin. The best of the European hair emanates from Russia, Turkey and Eastern Europe. Women in Eastern Europe use significantly less coloring solutions on their hair than women in Western Europe and the United States. As a result, their hair is healthier and stronger. European hair wigs and hair pieces also can be shaped and customized to your specifications as well as styled in countless ways, remaining natural to the look and feel plus, are lightweight and enjoyable to wear. Indian Hair is usually wavy. The texture is closest to European hair, however, the hair does not flow and swing like European hair nor does it reflect color and light the same manner. Indian hair tends to be universally dark, with some gray blends. It must be processed and treated to achieve lighter colors. Most wig manufacturers use Indian hair and the quality varies depending on how the hair is processed. Chinese Hair is very coarse and straight. It is usually too coarse for the use of hair replacements systems. However, it can withstand more aggressive processing. It is commonly used for high lift blonde colors. There are also a few terms that are most commonly used to describe how human hair is processed and collected. Remy Hair refers to human hair that retains the cuticle layer, the outer most part of the hair strand, flowing in the same direction, the way hair does naturally. The delicate process which maintains the cuticle in the hair is the key advantage of Remy hair, keeping it soft and silky, smooth and shiny, long lasting and tangled free. Remy Hair is sometimes referred to as cuticle hair. Non-Remy Hair is the most common type available. It is also known as fallen hair, meaning that the hair was gathered from loose fallen hair and not from ponytails. The roots and tips of this type of hair are mixed together, therefore, tangling is a problem. To overcome this, non-remy hair is coated with silicone to reduce the tangling, however, once the silicone washes off, the hair will tangle. Virgin Hair can be from any origin, it has cuticles aligned in the same direction, has not been colored or permed, and is totally unprocessed. It has a lot of natural shine and is commonly used for European hair systems. Cuticle Hair also known as Remy Hair. Wigs and hairpieces made from hair with the cuticle intact are more expensive. In these cases, the hair has been “turned”, meaning the hairs are arranged so that the root ends are all in the same direction. This prevents tangling and makes the wig more durable and easier to style. 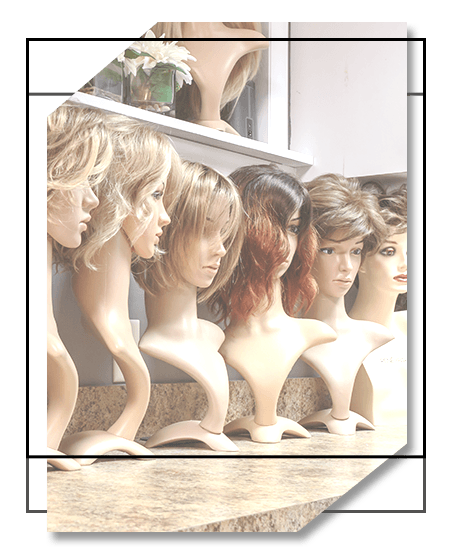 Custom Design – Where a head mold (or cast of your head) as well as a sample of your hair is taken to produce an accurate looking and precise fitting wig or hair piece. In addition, measures are taken to match color, density, curl pattern and length. This procedure can be timely in that it may take six to eight weeks to produce. Remember, top quality is expensive to produce and when shopping for a natural human hair wig or hairpiece, if the price seems too good to be true, it probably is.